The Fujifilm XF 23mm f/2 R WR lens sits alongside the other f/2 WR primes in Fuji’s current line-up; the 50mm f/2 and the 35mm f/2. 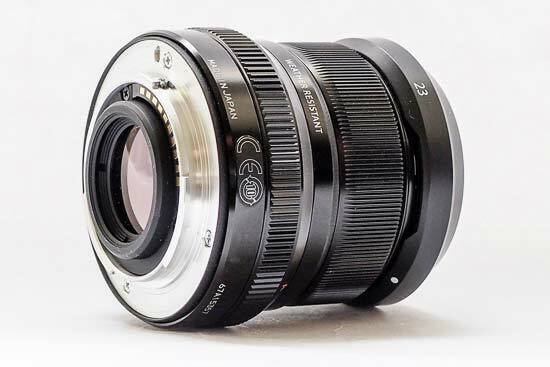 In 35mm terms, the 23mm represents a focal length of 35mm, making it a classic “walkaround” type lens. In its name, XF denotes the fact that this belongs in the higher class of lenses from the brand, rather than the cheaper, or more affordable “XC” lenses. The WR in its name means that it is weather resistant, making it a good choice for Fujifilm bodies which also have weather resistance. 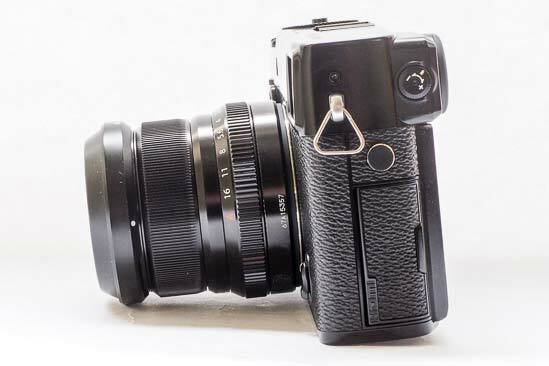 There is already a 23mm lens in Fujifilm’s arsenal, the 23mm R f/1.4 lens. As you might expect, the f/2 version is much smaller, as well as being much cheaper. The lens design consists of 10 elements in 6 groups, including two aspherical elements. There is an internal stepper motor focusing system, which promises to be both quiet and fast. 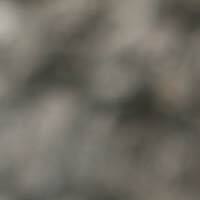 This lens is not only weather and dust resistant, but it also suitable for use in temperatures as low as -10 degrees. There are two colours available to buy - black and silver. The Fujifilm XF 23mm f/2 R WR lens is available for £419 / $449 in the UK and the US, respectively. 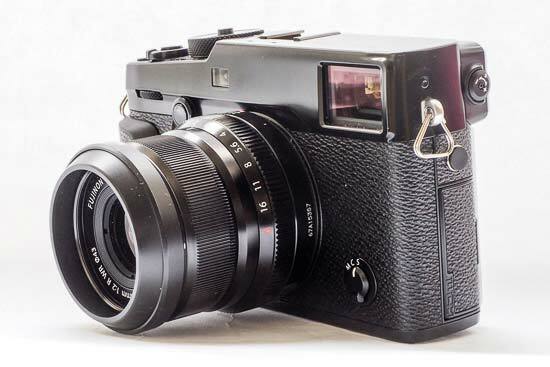 If you compare the 23mm f/2 lens with Fujifilm’s other 23mm lens, the f/1.4, you’ll notice a huge difference in size. 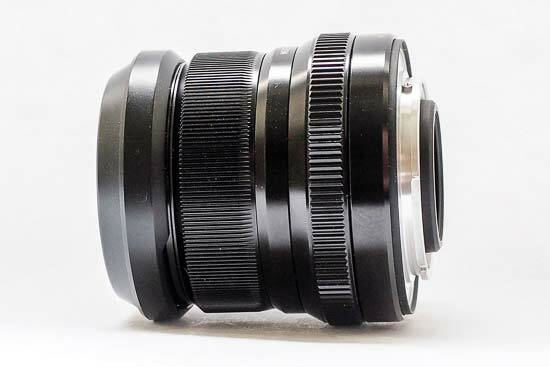 The 23mm is a much more compact offering, making it perhaps a better choice for those looking for a travel-friendly lens. You could conceivably even slip this lens into a jacket pocket ready for quick switching with a different Fujifilm lens in the f/2 range. 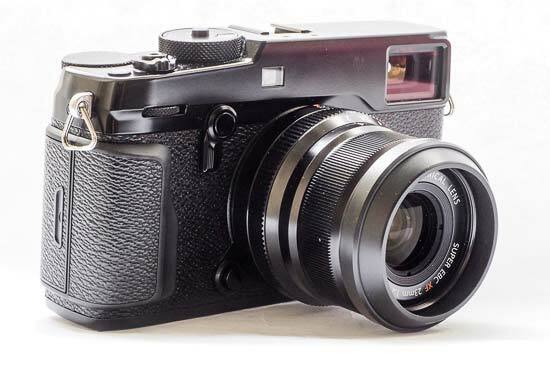 Although it has a small and light design, weighing in at just 180g, the Fujifilm XF 23mm f/2 R WR is still well crafted with an all-metal design. 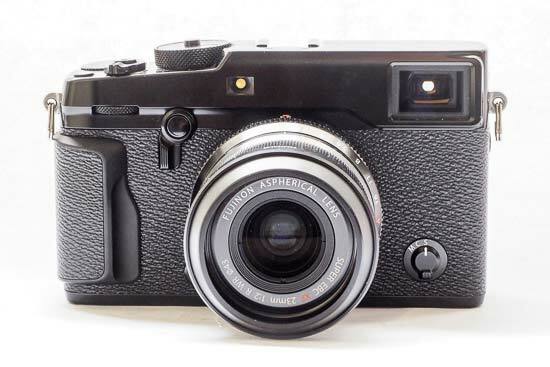 The small size arguably makes it more suited to the flatter design of the X Pro 2 (or X Pro1), but it would also work well with other cameras in Fujifilm’s range, such as the X-T2 or the X-T20. 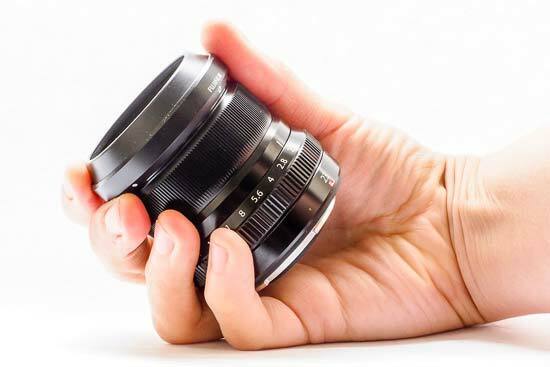 The supplied lens hood is made of plastic, but it is very small and discreet, and doesn’t detract particularly from the overall look of the lens. Although you can remove the lens hood, it’s not possible to reverse it and attach it to the lens for storage - but the hood is so small that you will probably just leave it on at all times. 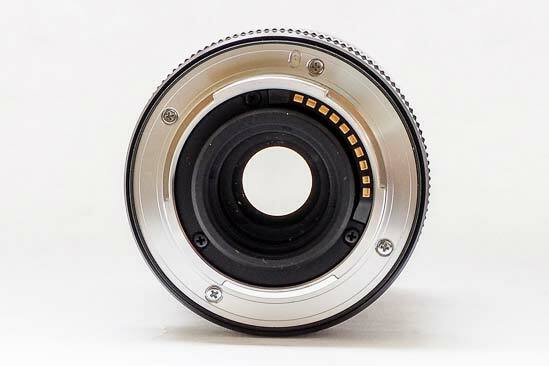 At the base of the lens is a red dot just below the focal length marking (23mm). You can use this red dot to line up the lens to the mount on whichever camera you’re using. 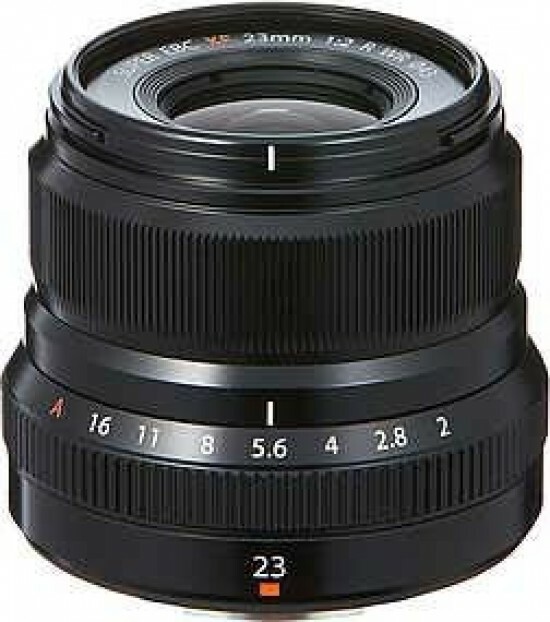 Just like most of Fujifilm’s lens line-up, the XF 23mm f/2 R WR lens features an aperture ring. 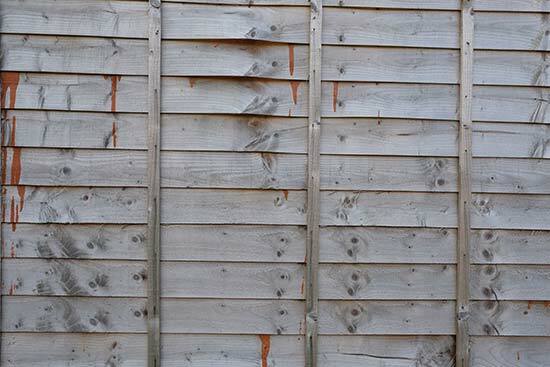 This is marked in full stops, ranging from f/2 up to f/16. You can select 1/3rd stops, but these are not marked in any way. There’s also an “A” option, for automatic - if you choose this, the camera will automatically select what it deems to be the most appropriate aperture. The ring has a satisfying amount of give to it, while there are audible clicks as you move through the stops - this is great news for traditionalist photographers, but videographers may be disappointed to discover that you can’t disable the clicks for video work. 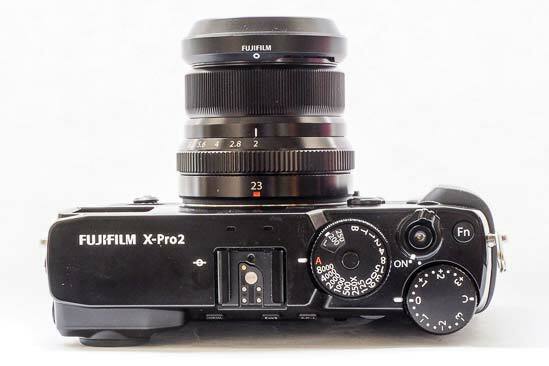 Nearer the front of the Fujifilm XF 23mm f/2 R WR lens is a manual focusing ring. This also has a good degree of smoothness to it, but there are no hard stops at either hand so setting closest or infinity focusing isn’t quite so quick to achieve. Focusing is internal, so if you use filters, you don’t have to worry about those moving. The thread size of the Fujifilm XF 23mm f/2 R WR lens is 43mm, which is the same as the 35mm f/2, but different from the 46mm thread of the 50mm lens. That’s something to consider if you plan on investing in all three of the f/2 lenses available. Optical image stabilisation is not included with this lens. Again, this is something to note when you consider that neither the Fujifilm X-T2 or X-Pro 2 feature image stabilisation in the bodies. At the 23mm focal length, the angle of view is 63.4 degrees, to give a 35mm equivalent length of 35mm. With the Fujifilm XF 23mm f/2 R WR lens, autofocus is extremely fast and quiet - you should feel comfortable using it in quiet conditions. It locks on almost instantly in good light, but searches a little more in dimmer conditions. It’s rare for a false confirmation of focus to be displayed, and it’s only the very darkest conditions that the lens gives up entirely. Chromatic aberration doesn’t seem to be an issue for the Fujifilm XF 23mm f/2 R WR lens, with it being extremely difficult to find any examples of purple fringing occurring in any of the test shots. When shooting at the widest aperture of f/2, it’s possible to see some slight drop-off in light at the corners of the image.  This is particularly noticeable when shooting a white wall, but is unlikely to be overly noticeable for normal subjects. 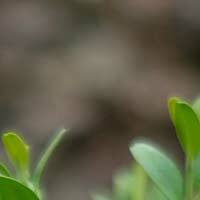 By f/2.8, the effect is lessened, and has gone completely by f/4. 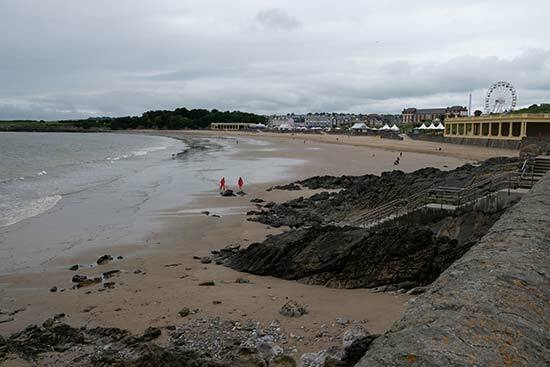 Distortion is kept to the absolute minimum in both raw and jpeg files. 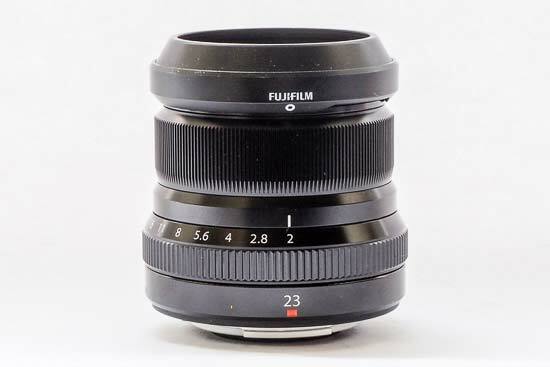 The Fujifilm XF 23mm f/2 R WR lens has a minimum focusing distance of 0.22m, with a maximum magnification of 0.13x. 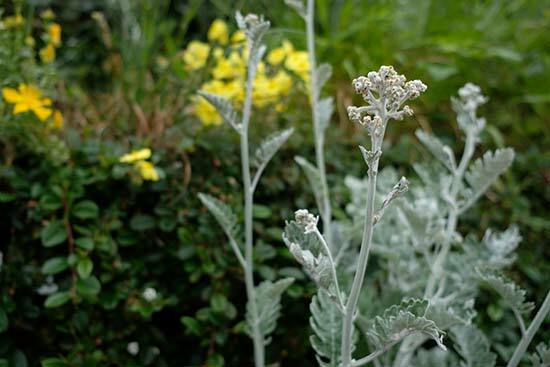 It is not a true macro lens, but you can use it for typical macro subjects, such as flowers and still life, to good effect. Although not generally a problem for most shots, flare can happen from time to time. 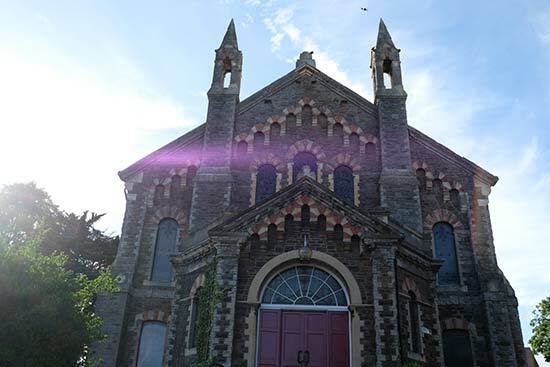 If you use the supplied the lens hood, it’s kept to a minimum, but in some situations it’s unavoidable - whether this is a problem is likely to be down to the individual, some like the effects lens flare creates. Either way, it’s a pretty rare occurrence which generally only happens when pointing the lens directly towards a very bright light source. 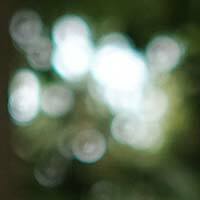 The word bokeh is used to describe out of focus areas in an image. Various words can be used, such as creamy, harsh or smooth. With the 9 aperture blade construction of the Fujifilm XF 23mm f/2 R WR lens, you get a nice and natural bokeh. 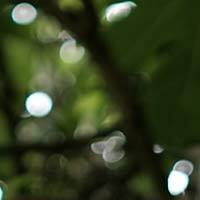 Judging bokeh is quite subjective however, so we have included some samples for you to decide for yourself.